During NHL’s birthday party, my sister told a story of a trip she, her husband and her kids went on. During the trip, she and her husband tried to keep their children hydrated, but the kids were refusing to drink water. So they tried making it into a little game. This worked well until one of the kids started telling grown-up that their parents played “drinking games” with them. I began to wonder how a parent drinking game would work. What would the rules be? Take a shot every time Dora, Map or any other Dora the Explorer character repeats themselves? Take a swig anytime you need to yell at your kids to stop fighting? Take another drink anytime you clean a room only to find it messy again 30 seconds later? Of course, drinking while parenting is probably not the best idea. (Especially if you do shots during Dora the Explorer.) So perhaps you could give yourself “parental drinking game credits” which could be redeemed once the kids are in bed. 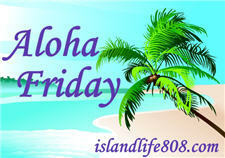 My Aloha Friday question is: What rules would you add to the Parental Drinking Game? Lol… I think this could get interesting real quick if it involves shots!! How about everytime your kid hits you, especially, double up, if it involves being punched or kicked in a private area. Maybe it’s just because I have a toddler, but he is always beating me up. You could definitely substitute chocolate or fried foods for alcoholic beverages. I played way too many drinking games as a teen and young adult (before kids). I wouldn’t even want to think about going there again, LOL! Nowadays, I would be asleep after one drink. Cute game, A drink after getting 5 whys from your child. Too funny!!! Let’s see… drink a shot every time the kids say, “S/he took my….!!! !” It’s constant here! How about every time I have to clean the boys potty! I have three boys so if I were a drinker I’d imagine if I we’re I’d need a drink after that.